Good choices. When will they name the Coaches? That’s supposed to be their first moves. I am assuming in the next month. Probably in February. I think the league is going to hire team presidents and head coaches for each city before beginning the quarterback signing process. I love all 4 choices. I would throw in Aeneas Williams as a possibility. He’s a respected figure there. He’s never taken on coaching full time but has done it on a few occasions in college all star games. Williams is in the Saint Louis Sports Hall of Fame and is the founding pastor of Spirit Church in St.Ann, a suburb in St. Louis. The St. Louis Spirits? I love the idea of honoring Saint Louis Football history. Very classy. 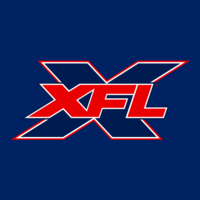 The XFL has gotta make a big deal about this team being born in St. Louis. What is Lovie Smith doing these days? In the AAF they've gotten older out of football coaches with experience. Martz with the San Diego team makes sense and should be interesting. Lovie was D coordinator under Martz with the Rams in Super Bowl 36. Of course he took the Bears to a Super Bowl too. Lovie is coaching Illinois right now. Things aren’t really going that well there but he’s getting a huge salary there. Benjamin Albright has stated that he thinks Jim Haslett will the GM/Head Coach for our St.Louis Team. He does have a ton of experience and NFL head coaching success plus he has ties to St. Louis. I hope Isaac Bruce is part of the coaching staff in some way. That seems like a weird fit, to be honest. Was Haslett popular in St. Louis? His defenses there were pretty lousy.